We are happy to announce SXB, a side-scrolling adventure, and true to the original fan remake of the original Super Mario Bros for NES! 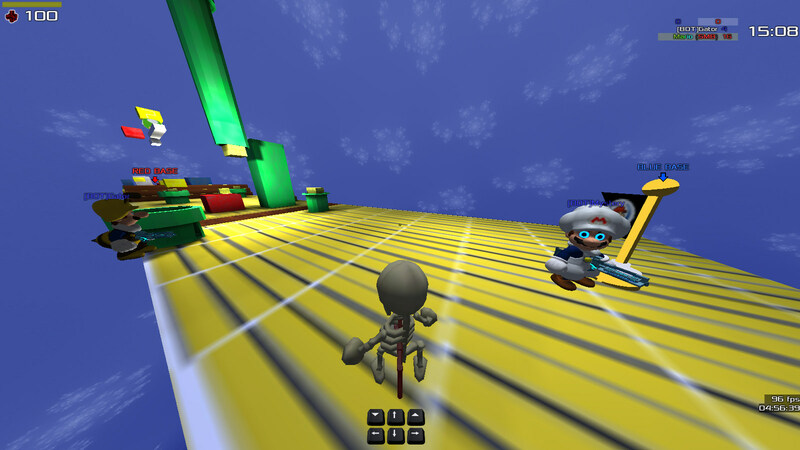 The earliest efforts of an SXB map date back to 2011, -z- put together a Mario themed SMB 1-1 race map in Nexuiz, at the time, Super Nexuiz Brothers. After the fork from Nexuiz, progress went idle until there was an effort to reboot it for Xonotic in 2013, while incomplete, a seed was planted. During 2012, Mario started playing with the idea of SMB 3 level assets which rolled into a collaboration with Kammy to produce the first sidescrolling version in 2013. Between 2013-2014, Mario and -z- began discussing their love for Nintendo's Mario, a brilliantly designed game series. 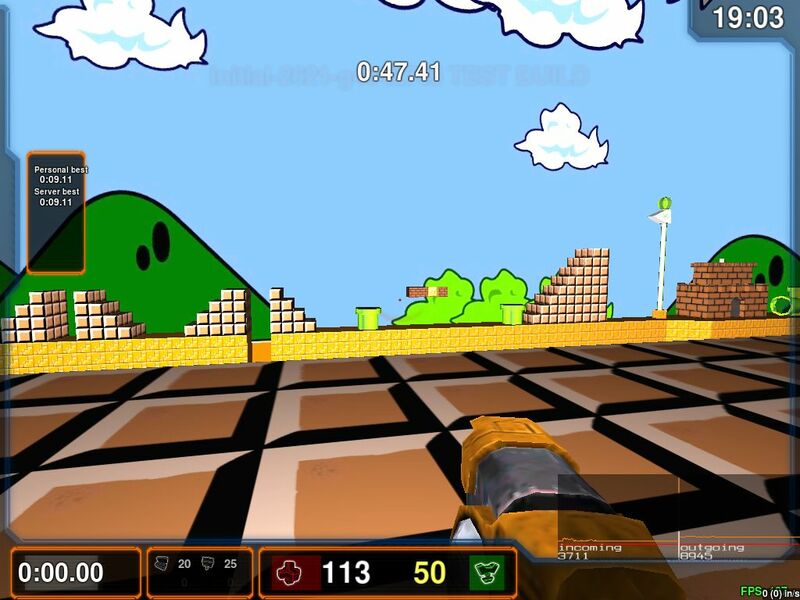 Having remade, or otherwise ported maps and game mechanics to Xonotic already, Mario too had a vision for what SXB could be. This lead to the next sidescrolling version based on some assets for the SXB race map. In 2015, those talks, and experiments, led to a very ambitious goal of recreating SMB 1 for NES inside Xonotic, in its entirety. While there was a testing release in 2015 featuring 33 maps, it was still lacking assets and had a few bugs. In 2017, nearly six years since the first brush was drawn, our vision has been put "on the rails", and today, we have reached our first milestone, v1r1, which we are very pleased to share with the community. The community has been hugely supportive of this effort over time, here's a non-exhaustive list, including many of the folks who have contributed over the years. - First release, all maps, most entities, no enemies. Any feedback guys? We'd love to know your thoughts on our remake. This certainly looks completely aweseome. 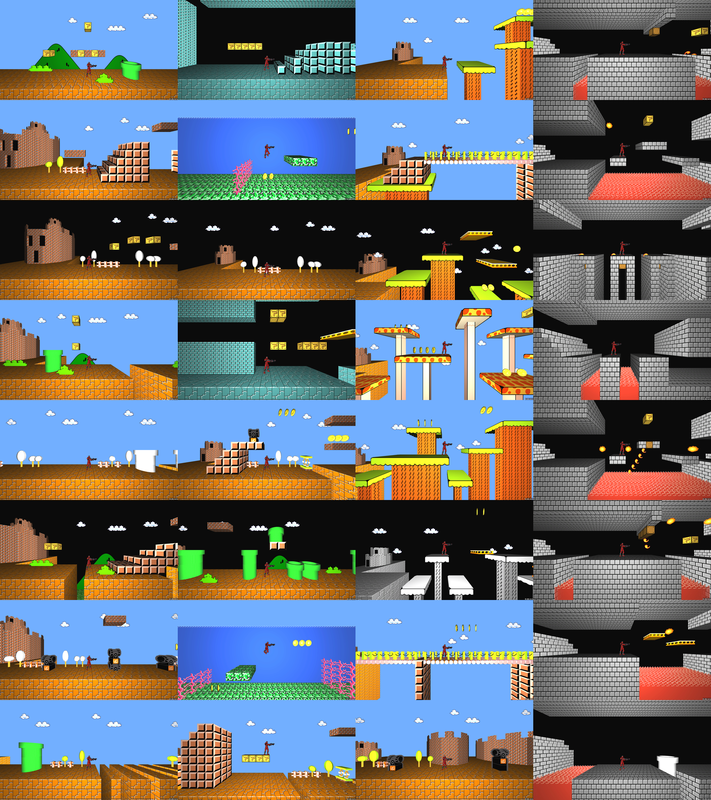 I like how the 2D maps have been transferred to "pseudo 3D". Nice choice of music, too! I completely missed this one. Amazingly weird idea, feels a bit like a fever dream. I wonder what it would look like with an actual skybox. In the water levels, the sinking speed seems very slow. Though that might be the original speed. "ceiling" for the water surface, instead of the 2D background. But I'm nitpicking, this is awesome! (03-18-2017, 01:24 PM)SavageX Wrote: This certainly looks completely aweseome. I like how the 2D maps have been transferred to "pseudo 3D". Nice choice of music, too! Thanks! Mario did a great job digging through newgrounds.com to get some really nice tracks. We've discussed expanding upon the 2D/3D mix, and have some ideas we're going to test out. (03-19-2017, 08:55 AM)sev Wrote: I wonder what it would look like with an actual skybox. We have a technical limitation in that we can only use a single skybox where same maps require more. We can, and did experiment with staggering the billboards more on the track to give a Yoshi's Island like parallax effect. Quote: In the water levels, the sinking speed seems very slow. 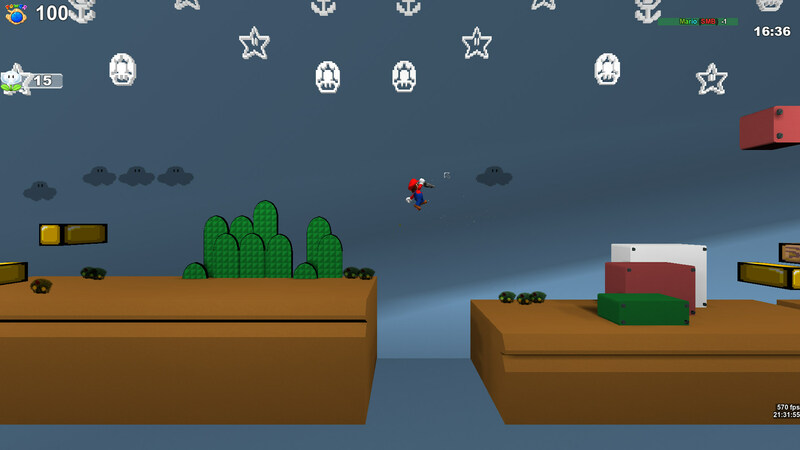 Indeed, Mario aimed to match the physics as close as possible. (03-19-2017, 03:27 PM)-z- Wrote: We have a technical limitation in that we can only use a single skybox where same maps require more. We can, and did experiment with staggering the billboards more on the track to give a Yoshi's Island like parallax effect. Now that you say it, I should have realized this myself. if I remember correctly, the possibilites where quite limited indeed.